Aaron Finch’s expected Test selection in the UAE next month may have as much to do with his suitability to play in next year’s Ashes as it does his competence against spin. Finch was a surprise pick in Australia’s 15-man squad for the two Tests against Pakistan but now appears almost certain to play the first Test, most likely batting in the middle order. It has been widely interpreted that Finch was picked, in part, due to his assured handling of spin bowling in Asian conditions, albeit in ODI cricket. In that format Finch has averaged nearly 40 in Asia at a strike rate of 99, and across his career has averaged 48 against spin. Against spin in ODIs, Finch uses his feet nicely, has a powerful sweep shot and exploits the full depth of the crease to cut and pull any deliveries which are marginally short. The selectors will hope he can bat with similar fluency against spin on Test debut in the UAE, where Australia’s batsmen were flummoxed by the home tweakers last time they toured four years ago. In that series. leg spinner Yasir Shah and left arm finger spinner Zulfiqar Babar ran amok, combining for 26 wickets at 21. On their more recent tours of Asia, Australia have talked up their horses-for-courses selection strategy, one which seems to have helped Finch finally earn a Test squad berth. After announcing the squad to tour the UAE, Australian chairman of selectors Trevor Hohns praised Finch’s “sensational form” and said he added generous experience and leadership to the group. What he didn’t mention was Finch’s success in English county cricket in recent years, something I believe may well have been a factor in his selection. Although The Ashes is still ten months away, it undoubtedly will be on the minds of the selectors as they look to mould a team they believe can finally win a Test series in England. 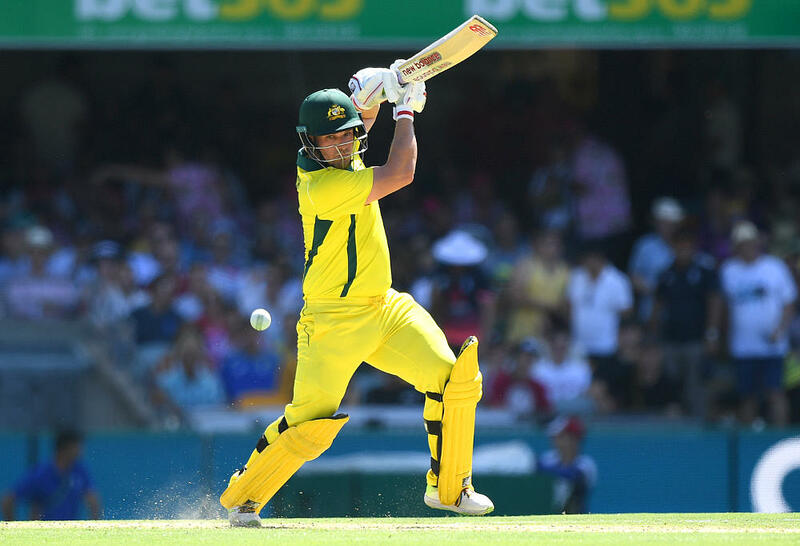 With doubt over the Test future of the banned David Warner, and question marks over the stability of Australia’s middle order, the selectors may see Finch as an Ashes insurance policy. By getting him into the Test team now, should Finch thrive in the longest format in the UAE and across six home Tests this summer, he’ll be well prepared for his first Ashes. On the surface, Finch does not look like the type of batsman who would be suited to playing against the Dukes in England. In ODI cricket he can be leaden footed, and tends to rely on his hand-eye coordination. But the proof is in the pudding – the Yorkshire pudding, to be specific. Across 15 matches for that county and for Surrey in Division One of the County Championship, Finch has made 823 runs at 43. He has passed 50 six times in 20 innings across those stints, a good indication of consistency. Finch clearly has improved as a batsman in recent years yet, as far back as four years ago, he was showing impressive aptitude against the swinging Dukes ball against good county bowlers. His first county ton, in 2014, came in a low-scoring match against a Warwickshire attack featuring four bowlers who had played Test cricket – Chris Woakes, Boyd Rankin, Jeetan Patel and Rikki Clarke. Since then, Finch has piled up 2,297 runs at 49 in first-class cricket. While he has only scored five tons in that time, he has passed fifty once per 2.8 innings, a highly-impressive ratio. Of course, none of this guarantees Finch even a modicum of success next winter against the likes of James Anderson and Stuart Broad, or in the UAE. But it will have given the selectors a reason to consider Finch as a strong option for the next Ashes, which in turn may help him get picked to make his Test debut next month.